When building a new home, making smart decisions up front will pay off in he logn term. Building a New York ENERGY STAR labeled home doesnï¿½t have to cost more. If you choose to incorporate additional energy-saving measures and equipment, the incremental cost could be applied to your mortgage. The money you save in lower energy costs can more than pay for the difference in additional mortgage costs, giving you a positive cash flow from the day you move in. Or you can take those savings and invest in other amenities for your new home, like hardwood floors, upgraded kitchen cabinets, or even a deck. The energy savings give you greater buying power. 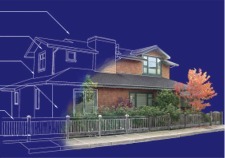 There are many things to consider when choosing a building site and planning a home design. Many of these considerations can't be acted upon but should still be in your thought process. Location - Orientation of the home can make a big difference in your energy usage and your comfort level. In Western New York, south facing windows are a plus. The altitude of the sun in the summer is much higher during the summer months than in wintertime. With proper overhangs this keeps the suns solar heat gain to a minimum in the summer and maximizes it in the winter. The north side is where a good window is most crucial in the wintertime. The north side gets little direct sunshine and some cold north winds. Windows on the east and west receive light and heat, but they are hard to shade from the summer sun. East facing windows may be desirable as they let in the morning sunshine. West facing windows are almost never energy winners as they overload the house with heat in the summer and must contend with the cold westerly prevailing winds in the winter. A home located in a subdivision with the wind protection of other homes and the solar protection of trees will be less costly to heat and cool. Simple design characteristics can make a big difference in heating and cooling. 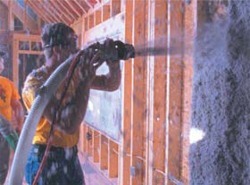 2 X 6 walls increase your insulation value by 46%. They also allow you to insulate to R14 behind supply heat runs that have to be located in exterior walls.The additional insulation will also make your home much quieter. It will also make your plumber a happy person. Your supply heat runs should run through interior walls whenever possible. Cantilevered floors expose more area to the outdoors and should be designed to be well sealed and insulated. Roof systems should be designed to allow the maximum amount of insulation between the top of the wall plate and bottom of the roof sheathing. If using trusses, raised heel trusses should be used. Wood burning fireplaces work better if they are located within the conditioned space. A warm chimney drafts mush better than a cold one. This does not apply to gas fireplaces. Thermostats should not be located in rooms that have fireplaces. Today's homes tend to have a lot of windows. 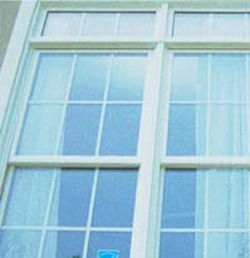 The R-value of a window is about R3 which is considerably less than the walls at R13 or R19. Additionally, the header over the window is usually double or tripled 2 X 12's which give R6 in a 2 X 4 wall or R8.5 in a 2 X 6 wall. In a 2 X 6 wall you may take out one 2 X 12 and replace it with hard insulation (R-max) and bring the insulation value up to R20. To start the certification process just call one of the local HERS (Home Energy Raters). They will review your plans and make recommendations needed to makeyour design qualify. Visit our Getting Started with Energy Star page. High-efficiency lighting can save up to 75% of the electricity used to light a home and lasts 10 times longer. 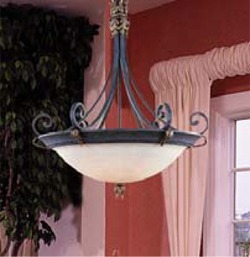 ENERGY STAR qualified light bulbs and fixtures are available in an array of styles and sizes to suit any decor. 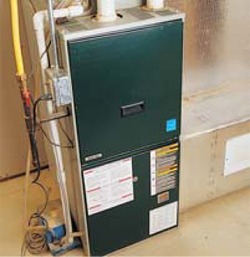 High-efficiency heating and cooling equipment, properly sized and installed, can be up to 30% more efficient. Ask your builder for heating and cooling systems with the ENERGY STAR. Well-sealed and -insulated duct systems reduce air leakage and help distribute air evenly from room to room.The duct system is also tested for air leakage before a home is certified. 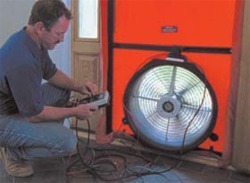 A ï¿½blower doorï¿½ test exaggerates air movement to measure and identify air leakage. Before being certified, each New York ENERGY STAR labeled home is performance-tested with a blower door to verify low air leakage rates. Insulation is measured in R-value. The higher the R-value, the greater the insulating effect. 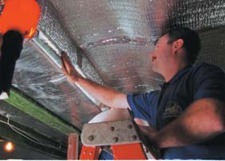 Higher insulation levels in walls, floors and attics mean better energy performance and comfort. Air sealing is important too. Caulking, foaming, and gasketing the holes and gaps in the home can dramatically reduce energy loss, which reduces utility bills for heating and cooling. 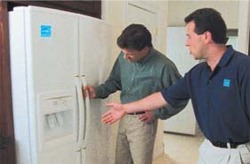 All appliances have two costs.The first cost is the purchase price that you pay at the store.The second price tag is the cost to operate the appliance over its lifetime.When adding these two costs, ENERGY STAR qualified appliances cost much less. Look for the ENERGY STAR on brand-name appliances, including clothes washers, dishwashers, refrigerators and room air conditioners. High-performance, low-E glass windows help to keep heat in during the winter and out during the summer.